The safest, most powerful de-icer. Designed for those with a focus on performance as well as protection. 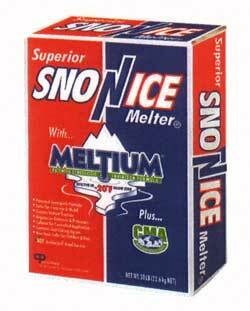 Superior Sno-N-Ice Melter is a must for anyone concerned with safeguarding concrete, metal or vegetation.